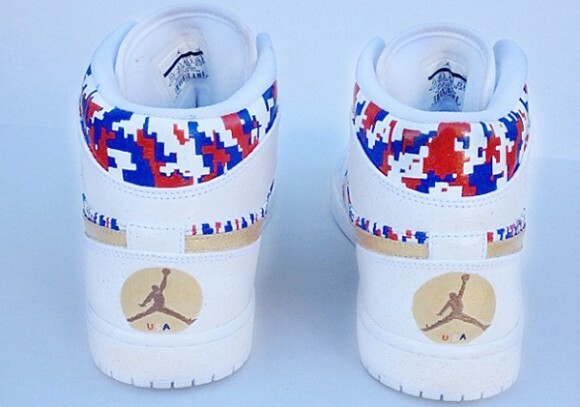 Sneaker customs are becoming increasingly more creative, and we’ve seen colorways that worthy of a mass release. 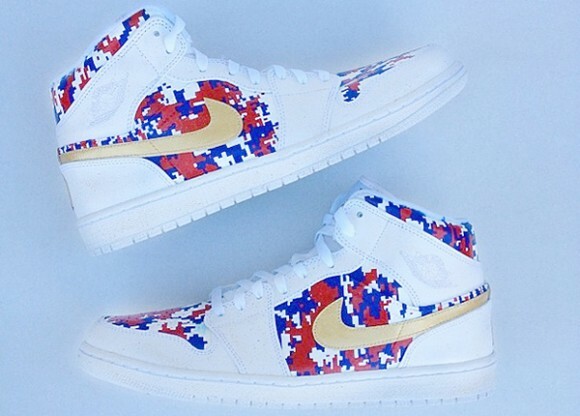 Our next pair of customs are by Have Air Customs, with the Air Jordan 1 “Gold Medal,” a patriotic digi-camo print AJ1 with metallic gold accents. 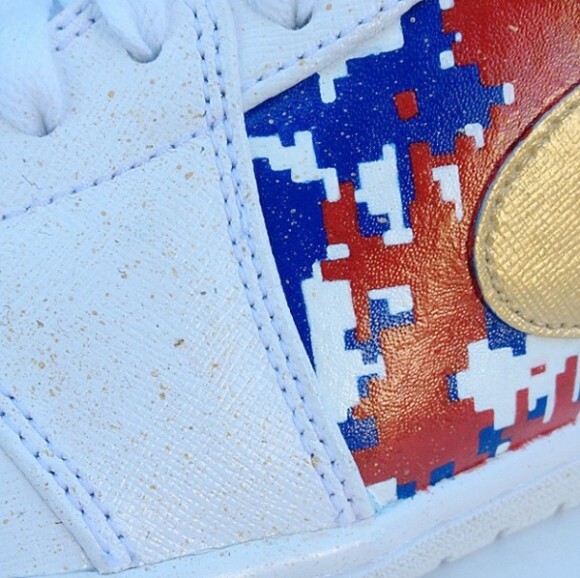 The digi-camp pattern is seen on the toe box, mid foot panel, and ankle collar. 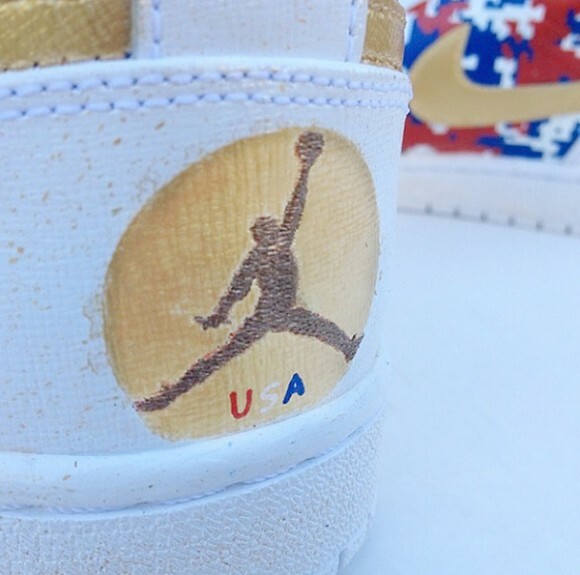 Gold accents the shoe with a royal Nike Swoosh and first place, gold medal painted on the heel guard. 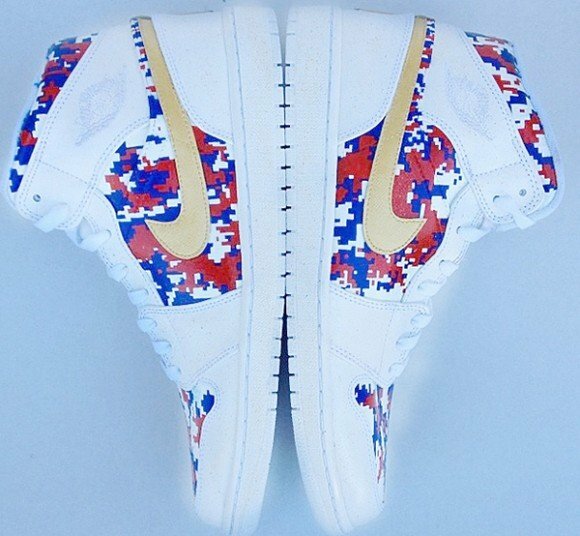 Coming from an original pair of all white AJ1 mid’s, we’ve got to say that Have Air Customs definitely killed it with these! 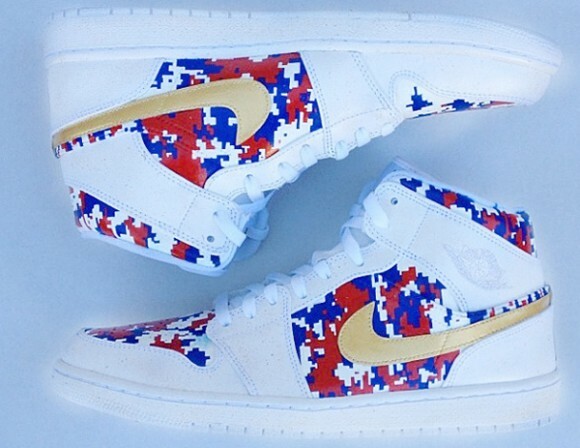 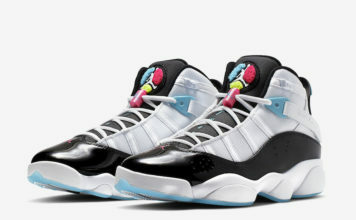 Check out more of their work over at Have Air Customs, now!